InA priority, set the aperture to f4.6. Spot ON. EV -2/3. 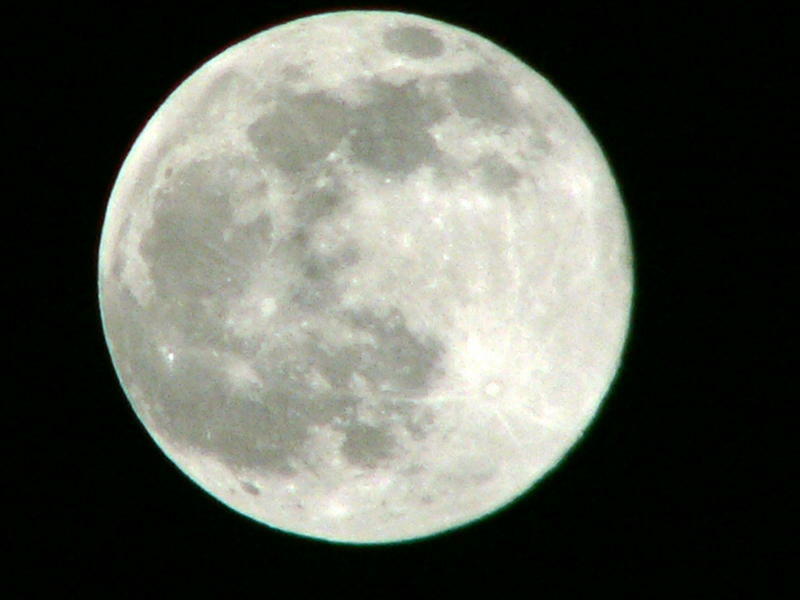 Shutter speed will go to about 1/400s with an unobstructed full moon in an otherwise black sky. These are resized only from FZ1v2 w/ tl55. Nice, Fred. I might try this with the C-210 but I'm in a lazy mood. Like the tree one in particular. I'll start with your settings. Tomorrow night might be good, too. We'll have some snow onthose branches. Might be some neat time lapse shots of the moon on the new fallen snow. Not that I need any new fallen snow, thank you. It will have to be new shoveled snow with very little time lapse which gets real old real quick. Thanks for the tips Fred. Just had to go out and shuffle around in the snow to try out a shivering handheld shot...gotta love the OIS!! 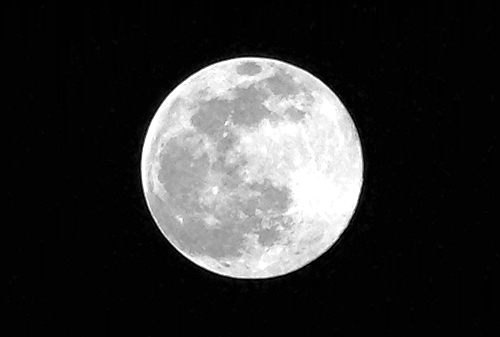 You got it.A Rhode Island moon. Wow I didn't realize a full moon was that bright! f7.3 1/320 iso100! Shot my first one last night and tried copying settings from here but never used the tripod just hand held but tonight I will get the tripod from my car and have another go tonight clouds permitting. I have been working this whole Moon shot thing for some time now. I try not to be out in the cold for to long here in Minnesota at night these days so I am looking forward to spring so I can spend some time getting this dialed in properly. Here is one of the better efforts from my FZ3. 12x zoom no digital zoom, ISO80, f4.6, 1/160, Aperture Priority. Cropped and Level adjusted some in PSP 9.0 I'll keep trying hopefully one day I'll get it the way I want it. 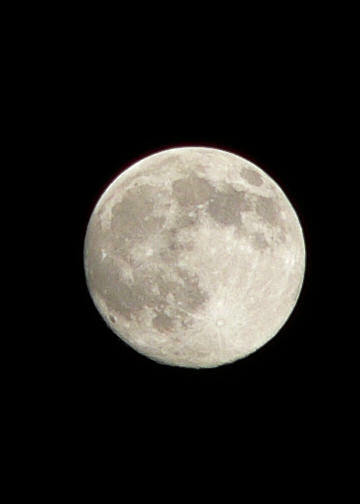 here is my moon shot from los angeles 2/23/05. I wish i had a nicer tripod, mine is too flimsy and shakes more than me i think...hehe. At long last, all my gear has arrived! New FZ20, Pemaraal PA62, TCON 14b. 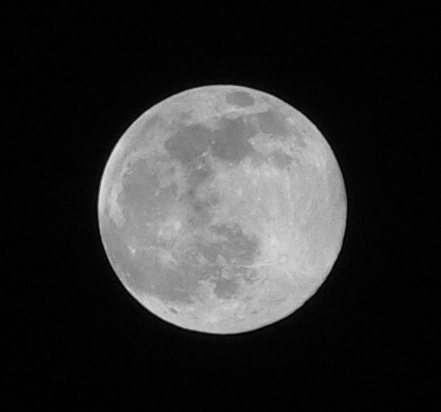 I still have a lot to learn about the camera, but the confluence of clear skies and a full moon was irresistable. 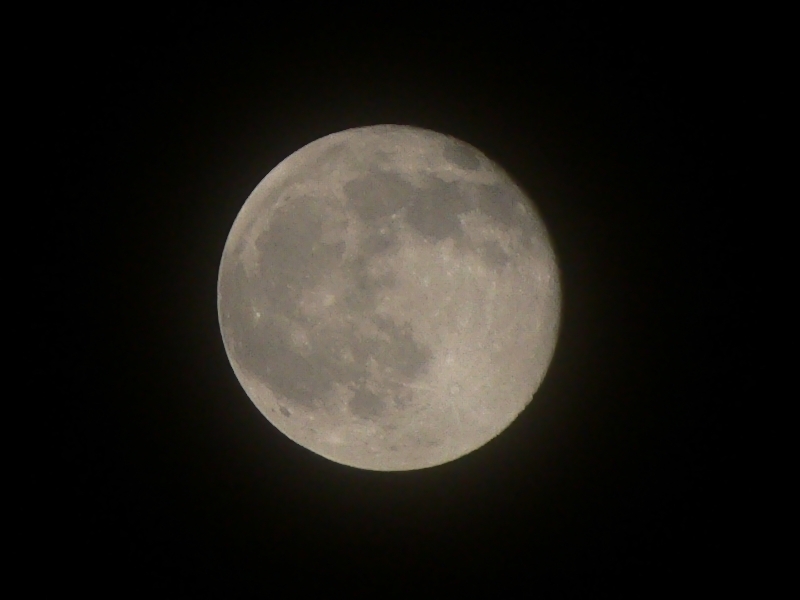 It took several trips outside and about 60 trial and (mostly) error snaps to get this shot, using a tripod. What seemed to work best (at 12x magnification on the camera, plus the 1.4x or so of the tcon) was shutter speed 1/125s, aperture f/7.3, ISO 100. Probably need to get a hood to mitigate the ambient Chicago city light pollution. As for post-processing, I used a little warp-sharpening in the Gimp to clean it up; followed that by masking off the moon and adjusting levels, plus a bit of denoising, to reduce a noisy halo around the moon (dunno if that's the camera, or all the city light, or all the moisture in the air here tonight).